This park, which was bequeathed to Saginaw City in the 1800’s and which has a long history of hosting year round sporting events and recreation opportunities is now leased from Saginaw. 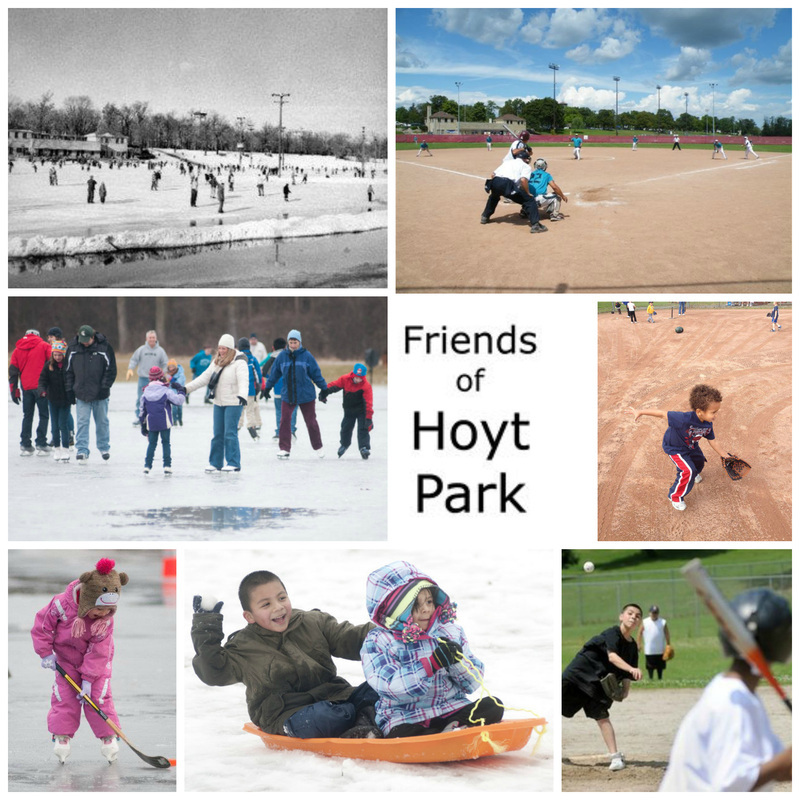 Since 2008, Friends of Hoyt Park (also known as FOHP) a 501C3 volunteer organization has been dedicated to preservation and to bringing athletic events back to the park year-around. Donations to FOHP are used to groom and maintain the Hoyt Park Ball Fields, Ice Rink and keep the ‘lower bowl’ area clean and usable by the public. The Ice Rink and warming house was re-opened January 19, 2013, but only for scheduled events and manned by volunteers. Please consider joining as a volunteer or make a monetary donation to keep the Hoyt Park legacy alive and well for years to come. Did you notice the 2 pictures below are taken from about the same spot? Winter 1947 and Summer 2012.